On a hot September day last week, a few of us met in the David Atkinson Room at Morley Library to see what we could discover about one of Morley’s undersung heroes, Alice Cliff Scatcherd (1842-1906). I’m delighted to be writing a one woman show inspired by Alice that is supported by Arts Council’s Grants For The Arts and Leeds Inspired. In attendance were also period costumier, Allana Marsh, Gina Day, Clive McManus and Julie Heeley from Morley Community Archives. 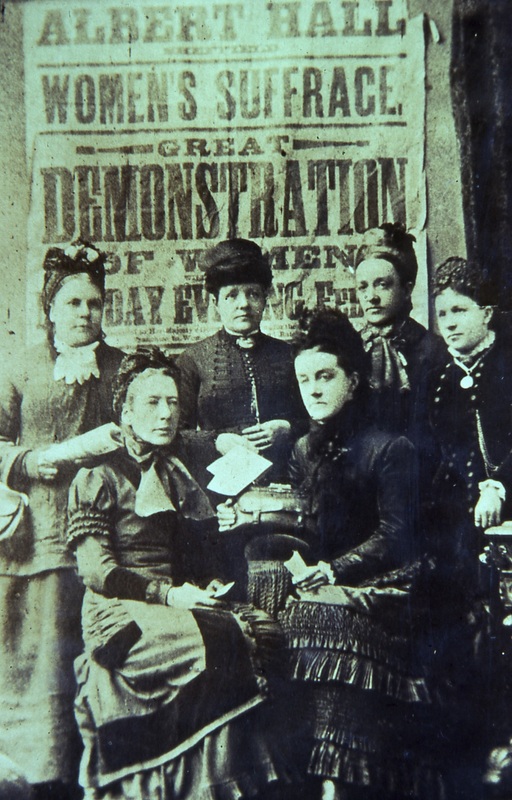 Alice Cliff Scatcherd’s scrapbook, conserved by West Yorkshire Archives as part of the History to Her Story project is part of Morley Library’s collection and is a treasure trove of social history. It was our first port of call on the day but we also looked at online sources and at other items in the Morley Library collection. We knew that Alice was well-respected in her time as a philanthropist, a supporter of women’s suffrage and a traveller. We knew that, born into the wealthy Cliff family, she married Oliver Scatcherd who she served alongside as Mayoress to his Mayor. But there was much we didn’t know. Many of the sources we found on Thursday bafflingly cited that Alice had been married to the owner of a textile mill. Oliver Scatcherd was a solicitor and, as far as we know did not own a mill, although we did discover that the Cliffs were fire brick manufacturers. I was intrigued by Alice’s work on women’s and workers’ rights and but also by the clippings in her scrapbook of beautiful Victorian outfits. How did this fit with the woman who refused to wear a wedding ring or to swear a vow of obedience to her husband? At a meeting earlier in the week Gill Thewlis, the contemporary costume maker on the project had asked why it was thought to be incongruous that a woman like Alice would be interested in fashion. I answered, somewhat flippantly, that I didn’t know where she would find the time given all her other areas of interest but, especially when Clive asked the same question, we realised there was more to it than that. Is there a stereotypical assumption that an intellectual woman with a social conscience will not be interested in clothes? Why do people see caring about clothing as being frivolous? How did Alice feel about fashion? The scrapbook went some way to answering this. In one of her travel logs Alice states, "Every man and woman would like to be good looking for, I still maintain, the love of beauty is in every heart." And yet Allana found that Alice was part of the Rational Dress Reform Movement, which demanded clothing that was more functional than that of the common fashions of the time and was seen as an important aspect of female liberation. We have two group photographs that are believed to depict Alice. But when we stumbled across some information that purported Alice was not the subject seated on the right but rather the woman seated on the left, we took a closer look. And that woman is not (horror of horrors) wearing a corset. Could this really be Alice? Based on the research, Allana will make two period costumes for a preliminary exhibition and reading, which will take place early next year. Here I am being fitted for a corset. As Alice said, "No woman ever did or will admit that she laced too tightly"! Of course this is only the beginning and we have been left with many more questions than we started with. Perhaps you or someone you know can help us answer them or shed light on other events that were taking place in Morley during this time period? Or perhaps you’re just interested in finding out more about Alice or thinking and writing about the impact women like Alice had on the women of today. As Morley historian David Atkinson said, "The greatest woman ever to live in the area. Women everywhere should raise a statue to this woman for the work she did for them." 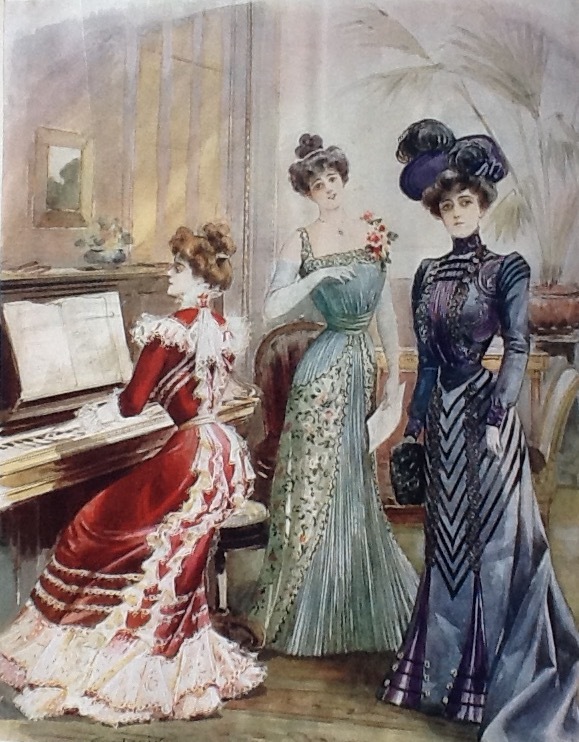 10am-12pm Drop in to view the Alice Cliff Scatcherd scrapbook and Victorian costume designs she has inspired. Bring your knowledge of Morley, photographs of the period and/or an enquiring mind. 1-3.30pm Write about real and fictional women in a creative writing workshop that uses Alice’s life as a starting point.Both workshops are run as part of Morley Arts Festival and are pay-as-you-feel.